Autumn Glow Alzheimer’s Care Home in San Francisco is designed for those afflicted with Alzheimer’s disease or other dementias. The facility is located in the Hayes Valley district of San Francisco, close to Japantown, and the San Francisco City Hall. This senior housing facility holds fifteen seniors in nine bedrooms, with a 24-hour around the clock care. 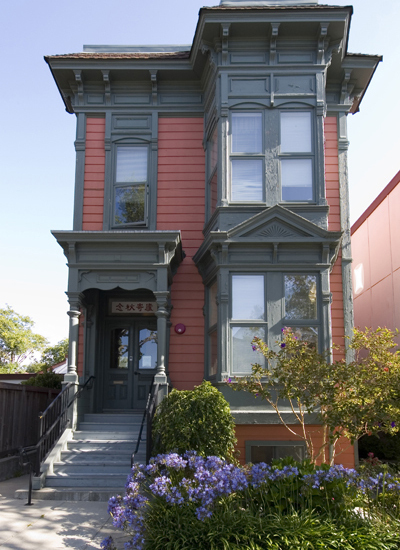 Autumn Glow has three private and six semi-private bedrooms in a two-story Victorian building. This assisted living facility also has a large room in the basement consisting of a dining room and activity center, common areas on each floor, and a rooftop garden. The facility offers 24 hour affordable housing and licensed quality care for the frail and disabled ambulatory and non-ambulatory residents. To qualify for the Autumn Glow Alzheimer’s Care Home, residents must be over the age of 60 and affected with Alzheimer’s Disease or dementia. Residents who are within HUD low income criteria can receive HUD rental assistance. To learn more about eligibility, visit HUD.GOV. Serving seniors in the Autumn Glow Alzheimer’s Care Home since 2001, Self-Help for the Elderly has been running quality assisted living facilities for seniors for over 20 years. Learn more here and call today for more information about assisted living facilities.